Dec 05, 2012 in "Splitsville"
Downtown Disney's newest venue is set to open in the near future and we have a few more details about the experience, including pricing and reservation details. At 50,000, the Downtown Disney Splitsville is around twice the size of any other Splitsville. It features 30 lanes, split onto two levels, with 10 lanes on the ground floor, and 20 lanes on the upper floor. 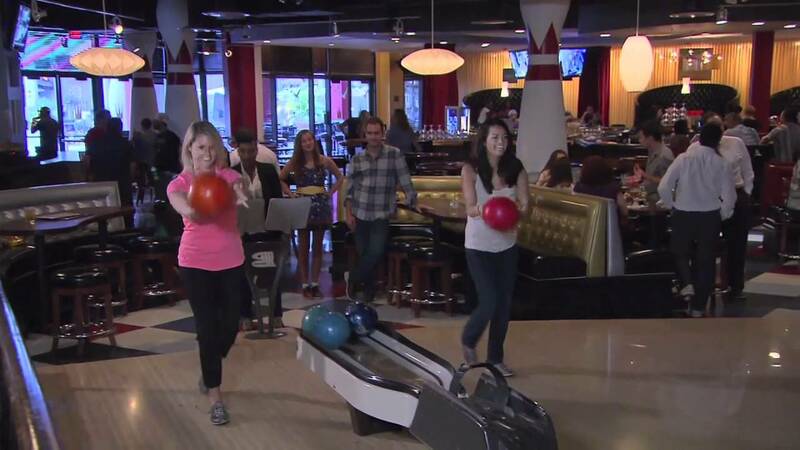 A "Lane Concierge" will deliver shoes and bowling balls to your lane before you arrive. Food options will be plentiful, with five bars, two sushi bars, and a more traditional menu including burgers, steaks, mahi mahi and Voodoo shrimp available on two outdoor patios. Rounding out the entertainment will be live music 7 days a week, over 60 TVs, and billiards tables. As you can tell, this is not your traditional neighborhood bowling alley. Now onto the big question of how much bowling will cost. Pricing varies depending on time of day, with pre-5pm bowling costing $15 per person for 1.5 hours, which includes shoe rental. After 5pm, the price moves to $20 per person until 10pm. From 10:30pm to 2am, the price falls back to $15 per person. The cost is based on time, rather than a number of games, which should make reservations much smoother to operate, as there are no variables of game time. Reservations will not be available initially, but will become available in the New Year. Splitsville will be hosting invited guests over the next few days, but is not yet ready for normal operations. It is however expected to open before Christmas.